Expressions of Interest (EOI) are now open to design, build, finance and maintain the section of Inland Rail from Gowrie and Kagaru in Queensland. The section is the most technically complex of the Inland Rail and includes a 6.5 kilometre tunnel through the Toowoomba range, making it the largest diameter diesel freight tunnel in the Southern Hemisphere. Additionally, the Australian Rail Track Corporation (ARTC) and private sector, through the Public Private Partnership (PPP), will undertake major tunnelling through the Teviot and Little Liverpool ranges. The design of the section will aim to allow double stacked, 1.8 kilometres long trains, each equal to 110 B-Double trucks, to travel through the ranges west of Brisbane and add around 126 kilometres of new rail track. Inland Rail aims to connect farmers to domestic and export market more efficiently, in higher volumes and at lower transport costs. Deputy Prime Minister and Minister for Infrastructure, Transport and Regional Development Michael McCormack said employment and business opportunities were central to the Inland Rail line being built, to benefit regional communities and economies through more efficient logistics networks. “Inland Rail is one of the most exciting nation-building infrastructure projects in decades and we want to maximise its potential benefits,” McCormack said. “The Australian Government is building this 1700-kilometre Brisbane to Melbourne rail line to help boost the nation’s freight capacity, while generating jobs and opportunities for regional communities, in view of the nation’s freight task expected to double in the next 20 years. “We are at an exciting stage marking the commencement of the formal procurement process for this major component of the Inland Rail project. This is an important step which facilitates shortlisting of parties for the issuing of the PPP Request for Proposal, scheduled for later this year,” Wankmuller said. “The geology and topography of this section, which is located mostly within protected corridors, pose many challenges and we are currently undertaking further site investigations to give us a better understanding of the conditions and inform the final design,” he said. Wankmuller said the PPP process will aim to harness the private sector’s experience and innovation to deliver engineering solutions required to conquer the Great Dividing Range. “This is the type of challenge that excites multi-national contractors, investors and financiers. I am expecting international consortia will bid to have their name associated with this iconic project,” he said. 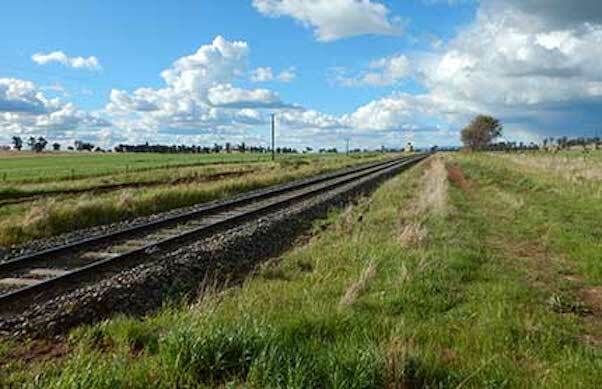 The Request for Proposal is expected to be released later this year once the Australian and Queensland governments have finalised a bilateral agreement for Inland Rail’s delivery. Responses to the EOI are due to ARTC in May 2019.